Of course I have few striped tops, but I felt like I need another one.. so I picked this one from Zara. 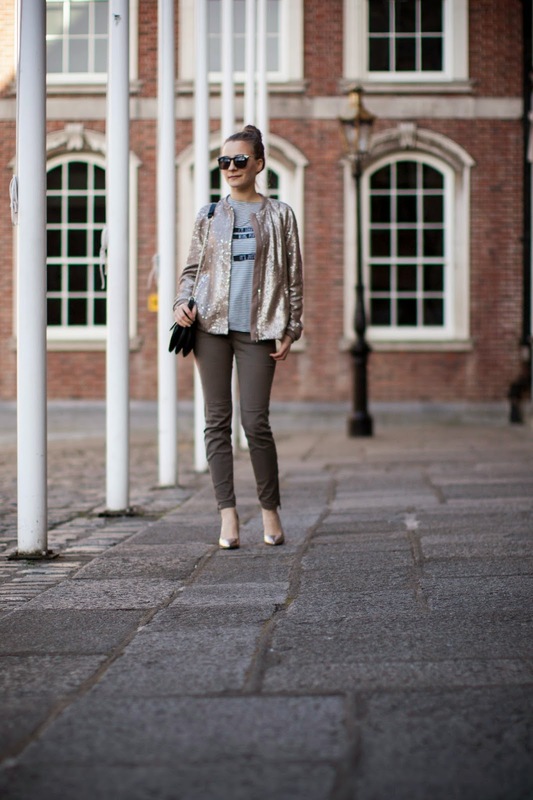 My first idea was to pair it with ripped jeans and trench coat, but then this sequined bomber jacket shimmered on a hanger and my look was complete. 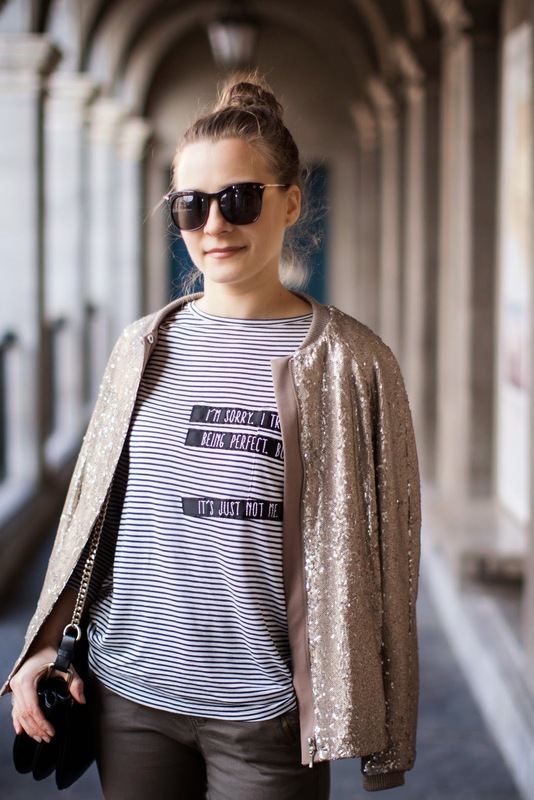 It's this kind of an outfit which you can simply transform from day to night look by only putting on runners or ballerinas. Have a nice day and don't forget to check our instagram and twitter for everyday updates.